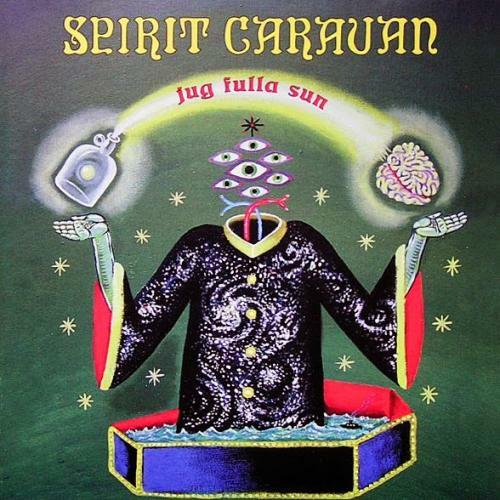 Spirit Caravan just continued where The Obsessed, a strongly Black Sabbath influenced doom band stopped. 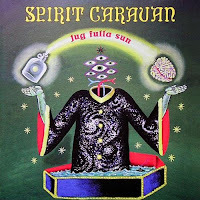 First the difference may be barely noticable in general, even though Spirit Caravan involved stoner rock influences too, so they sounded heavier. And by this heavier sound they were not just like a Black Sabbath influenced band, but it seemed like they got free from their ties and showed what Black Sabbath overdose may mean. The members probably listened to them from day to night so that completely infested their minds. The stoner influence was not only useful to turn their sound heavier but also gave a gentle psychedelic touch to their music and the desert rock feeling that became indispensable since the '90s for a band that chose to play in '70s style. "Jug Fulla Sun" is like a short encyclopedia of how to plant a specific styled of old school (Black Sabbath influenced) music into the '90s and keep it updated. Even though their concept was quite unifacial, they've tried all possible ways to entertain the listener between these borders, and the album is definitely enjoyable.